As part of the Golden State Bonsai Federation convention this year, Bay Area suiseki enthusiasts are organizing a suiseki program, including a seminar, exhibit, and collecting trip. The suiseki seminar is a panel discussion on Saturday Oct 30, 8:30 am – noon. 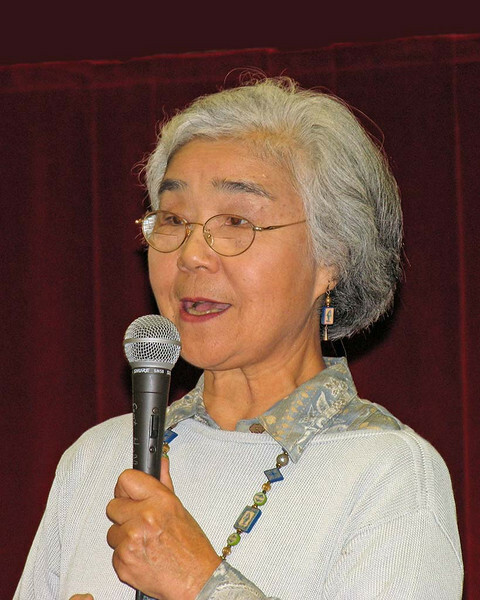 The panel members include some of the best-known suiseki teachers in California; they will discuss their views about how to find and recognize a good suiseki, how to finish or present it, and how to display the suiseki for others. We expect this to be an interesting, informative, and provocative discussion. 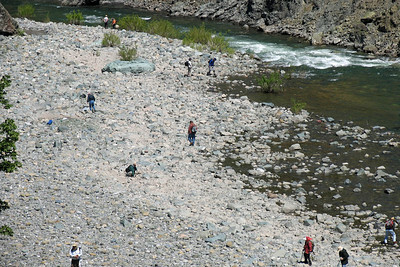 The stone-collecting trip, on Wednesday Oct. 27 – Thursday Oct. 28, will be a two-day trip to famous Eel River collecting sites where fine quality suiseki can be found. 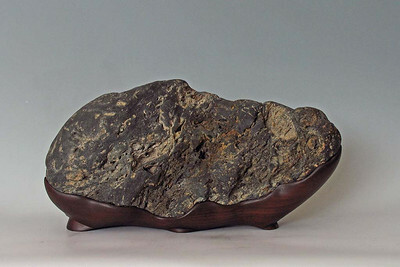 The trip is 1 1/2 days of stone collecting (all day Wednesday, and Thursday morning) with guidance from a team of experienced suiseki collectors. The trip includes 2 picnic lunches and a dinner program. Both the panel discussion and the collecting trip are paid convention events. You can register for them through the convention website. The bonsai and suiseki exhibit is open to the public free of charge. It will be open from Friday, Oct 29 at 1:30 pm until Sunday, Oct 31 at 11:00 am. Detailed open and close times can be found in the convention schedule. We are very much looking forward to seeing old friends, and making new ones, so please join us this fall. Making daiza for suiseki is hard; you need to acquire the necessary wood carving skills, you need a sensitive, artistic eye, and you need to develop an understanding of the aesthetics of the art form. As a beginning daiza maker you will likely start with a standard daiza style and practice it first for cut stones and then with natural stones. In the process you will gain technical skills and develop your artistic eye and understanding of suiseki. As your skill develops you may start to modify the style of your daiza in order to better capture the unique qualities of individual stones. As regular readers of this blog know, Mas will cut a stone when he feels it is right artistically for a particular stone. He does not like to do this however if the result will be just a mediocre suiseki. 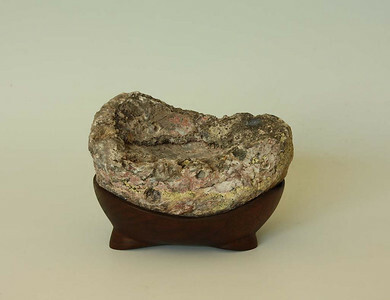 Cutting the stone must not only be an improvement over the stone in its natural state, but the resulting composition must meet the aesthetic criteria and “rules” for suiseki. Mas always recommends that beginning daiza makers begin with cut stones, and develop both their wood working skills and their artistic understanding of suiseki, prior to tackling the natural stones. In this article I’m not going to show a “how to” for making a cut stone daiza. That information is widely available through workshops and books (I’ll give some references below). Instead, Mas and I want to discuss some of the different styles of daiza he uses. Each stone is different, and you cannot use a single type of daiza for every suiseki. The shape and height of the daiza wall and legs need to be adapted in order to harmonize with the particular stone. 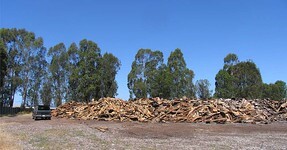 If you click on the pictures below, you will find photo galleries that illustrate each section. In these galleries you will see specific comments about particular suiseki and their daiza. The beginning point for any daiza maker is a “traditional” style. In Mas’ case, this is a simple daiza form that was brought to Northern California by the Japanese artists that introduced suiseki to us. These traditional daiza, which derive from those popular during the Meiji period, have a straight, horizontal rim with two levels – the inner rim is slightly higher than the outer rim. 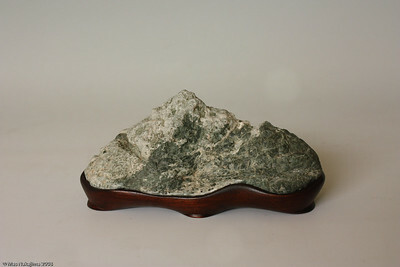 This style is well suited to the classic “distant mountain” stones such as the one shown above. 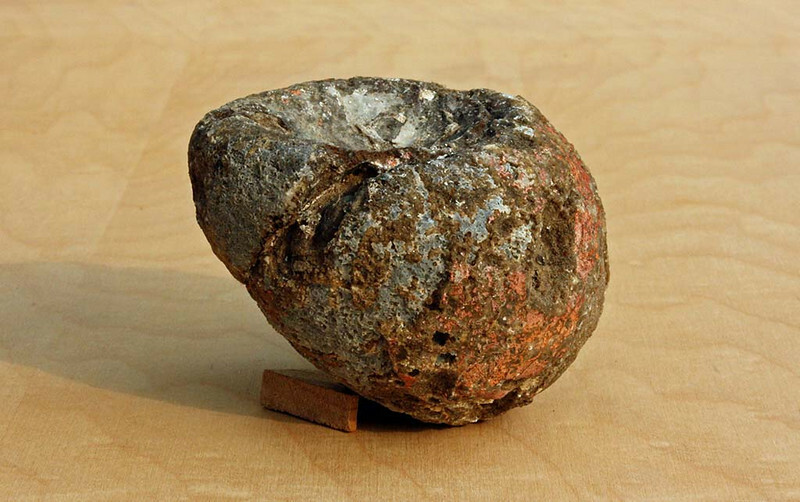 While it is strongly asymmetrical, the stone nevertheless has a quiet, reserved feeling. It does not have strong movement, there is not a lot of surface texture, and the color range is muted and subtle. The simplicity of the daiza combined with the slightly decorative touch of the raised inner rim gives this suiseki a restrained, elegant feeling. The apparent simplicity of the daiza, of course, belies the actual difficulty in making it. While the style dictates the overall form, every detail can vary: the height and width of the daiza wall, the size and placement of each foot, even the angle at which each foot meets the ground. In recent years, suiseki artists in Japan and elsewhere have developed a new style that has a single rim line. This style is of course less decorative and has a less formal feeling than the traditional style. Mas no longer uses this style very often, but for the suiseki above the simplicity of the daiza harmonizes well with the stone and helps to keep the eye focused on the stone and not the base. Recently, Mas has started exploring a new style of daiza, trying to better enhance the features of individual stones. In this “creative” style, Mas does not stick to a horizontal rim, but adjusts it with the movement of the stone. If you look at this suiseki, Mas chose to cut the stone lower than he normally would and vary the height of the daiza rim. This lets him reveal the “valley” in the lower part of the front while filling in the undercuts at each end. Obviously, this style requires the same wood carving skill that is needed for a natural stone suiseki. 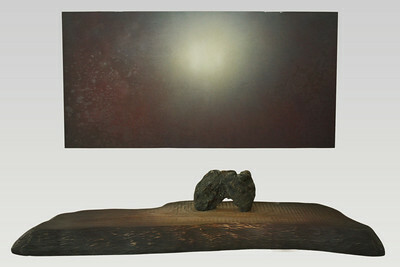 The point, however, is not to show off the artist’s skill, nor to pretend that it is a natural stone. 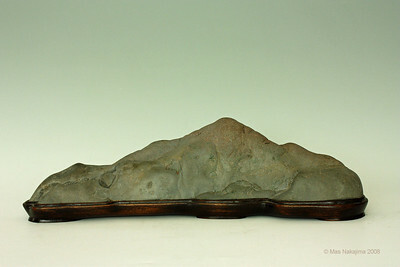 The intention is improve the cut stone and show the suiseki to its best advantage. This creative style does not suit all stones. In the gallery behind the photo you will see some examples where the busyness and movement of the base distracts from the beauty of the stone and a simpler, more traditional daiza would fit better. The easiest way to learn how to make daiza is to belong to a local suiseki club if one is available. There are also seminars and conventions held in the U.S., Europe, and Asia where instruction can be had. Often, suiseki instructors participate at bonsai conventions and shows. Coming up in October, 2008 is the International Stone Appreciation Seminar in Pennsylvania. Various Japanese language books written by members of the Murata family have illustrated guides (with photos) for making the older traditional style of daiza. One source for these old books is http://www.japanese-book.com/index.php . Mas will be sowing his latest suiseki art sculpture and two paintings in the next show at Triangle Gallery, Old Friends, New Faces III. Reception September 6, 3 p.m. – 5 p.m.
Gallery Hours: Tuesday – Saturday, 11 a.m. – 5 p.m.
Mas made this suiseki last autumn. At the time he had such a feeling of accomplishment, finishing such a difficult daiza. He brought it into the dining room and we enjoyed looking at it every day. But after a few days the excitement kind of disappeared. It just couldn’t stand up next to the fine traditional suiseki in the room. Mas been struggling with this stone for a long time. It’s a beautiful piece of material from the Klamath River, but the feeling from the stone doesn’t transfer to the finished suiseki. The peak is small and indistinct relative to the vertical and horizontal expanse and there are many features spread out over the surface. 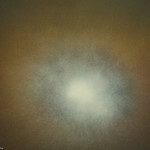 It feels like a big wall, too busy and with no focal point. 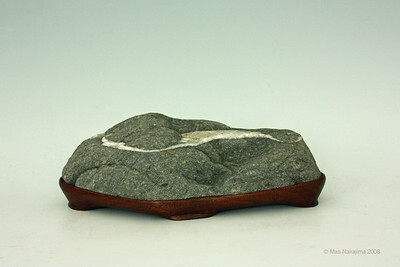 A suiseki friend was visiting a while ago, and he suggested that Mas cut the stone and make a simple base. Of course this he had considered this possibility. It would solve the vertical wall problem, and would also help give the stone better proportions – a distinct peak and good kamae (good seat or posture). But cutting is a last resort, and Mas always wants to explore all the other possibilities. 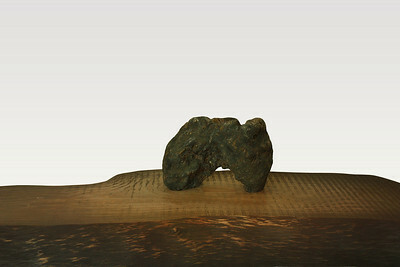 He feels that it is an incredible stone, even though it does not follow the traditional suiseki style. So what to do? 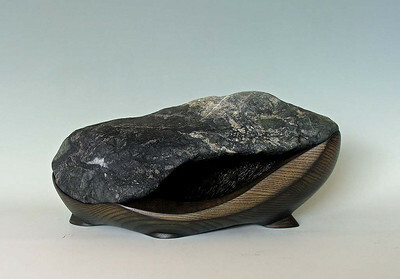 He really wants to “take care” of the stone – and show the deep meaning of stone appreciation. The other night Mas showed me a picture of his first attempt to finish this stone from several years ago. This was one of his very early experiments with using a board for his “suiseki art”. The stone evokes the image of a great wave, and that reminded him of this print by Hokusai, so he carved and painted the board in a deliberate reference to the print. The result was not satisfying to him. 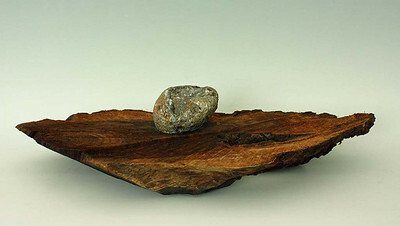 The board is too busy, competing with the stone, and the carving does not harmonize with the form of the stone. Nevertheless, I was kind of excited by the picture. The stone, presented in this way, seems really powerful to me. 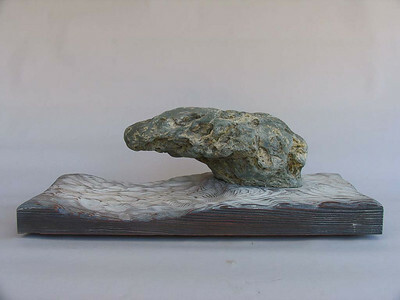 It gives me the image of a strong and ancient rock slowly being eroded away by the power of the sea. Mas now feels encouraged to try again, and I look forward to someday being able to finish this story. He says that if he simply concentrates how to create a “Wave”, without any preconceived concepts, then all the rest will follow. 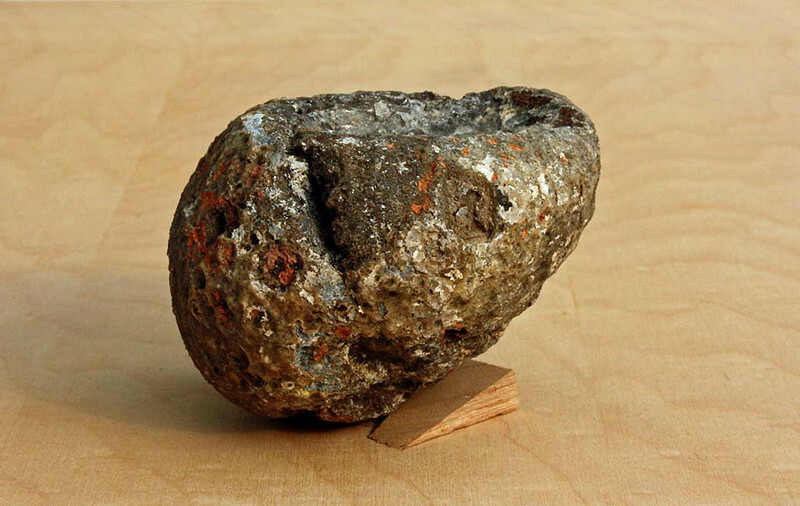 You are currently browsing the archives for the stone category.